Gerry Anderson, is qui Thunderbirds animavit, transitus est. One thing you can do is to refuse to bestow upon the perps the posthumous laurel of Celebrity. Stifle your curiosity about the motive and life of the evildoer. Refuse to be moved by the tears of victims with cameras thrust in their faces. Turn off the 24/7 cable news. Go watch a DVD or something, and let the ratings plummet. This shouldn't be all that daunting a discipline, folks. Tumore gravis, in moribus populi sui fidebat et aspectus suus vertit coram adventu haud evitando. Bonan nokton, mi' amiko, kaj ĝis revido. 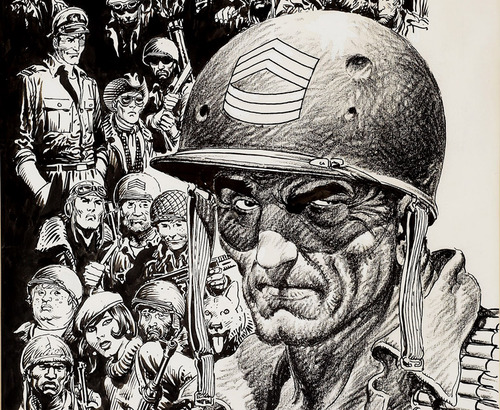 Joe Kubert, pictor, delineator, pictorumque docens, transitus est. Dum cadunt res publicae, cadit et lingua. Verba celant, non illuminant: urbem liberas in diruendo. Verba confundunt; ut in die comitii suffragantes condigne res suas impediunt. "As societies grow decadent, the language grows decadent, too. Words are used to disguise, not to illuminate, action: you liberate a city by destroying it. Words are to confuse, so that at election time people will solemnly vote against their own interests." Sally Ride, astronauta Americana, transita est. Prima in mobile sublunari sed infeliciter inclausa in vita, in ea usquam arrexi. Ray Bradbury, phantastes Americanus, qui "Fahrenheit CDLVI" et "Res Mala Approprinquit" scripsit, transitus est. Mauritius Sendak, pictor scriptorque Americanus qui Ubi Sunt Feri et In Cucina Noctis scripsit, transitus est.